THE Samsung Galaxy Tab 3 (which is 7 inch) with Model name, Model SM-T210, is an 8GB mid-range Tablet with some awesome specifications for the price. 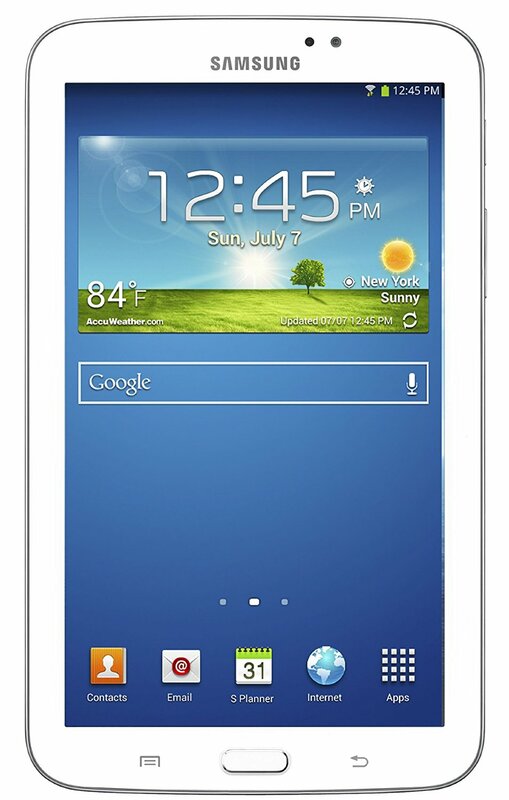 The Samsung galaxy Tab 3, which is 7 inches, comes with the Android 4.1.2 Jelly Bean Operating System, 1.2 GHz dual-core processor and an 8 GB Flash Memory. This device runs with a 1GB RAM Memory. You will be able to store photos, videos, music, and have more storage space with up to 64GB of memory available through a microSD slot. This device comes with a 3MP rear-facing camera and 1.3MP front-facing camera for Selfies and welfies. This device comes with a 4000mAh Li-Ion powered battery, which can last for up to 8 Hours on heavy Usage.